The latest motorsport news, with John Hindhaugh. Guests include Liz Halliday and Fernando Alonso. 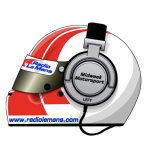 Richard Craill has the latest news from Australia, Nick Daman ..
Nick Daman reviews the Russian Grand Prix, Shea Adam looks ..
Marshall Pruett and Nick Daman discuss the news that Fernanado ..